Wow, the Cool Therapy Mattress we bought is amazing! We like a bed which keeps us comfortable but cool through the night! We use to wake up sweating and soaking wet! We absolutely love this bed and we are pleased with the comfort and price! Thanks, Joe for your help! 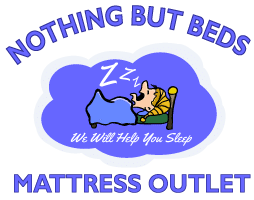 I thought it would be hard to find a mattress which meets my needs and a great sales person to help me decide. The price is very affordable! I left the store of Murphy feeling like I was the person walking away with the deal. We have looked for a quality mattress for years which could hold up 4 dogs, my hubby and me! We love to watch movies in our bed! This mattress is amazing and after 6 months we can tell a huge difference in our backs!